Peter Zapf from Global Sources – Freight Forwarding 101 – Alibaba alternative, negotiating with suppliers, Setting up Quality Control criteria, defending against fraud, shipping rates, when to use Air vs. Sea, palletizing, certifications, Insurances, Pre-Shipment expenses, How much deposit you should pay, Trade shows in China you should attend. What does make Global Sources similar and different from Alibaba? What is a typical deposit when ordering the first time from a supplier? How can I benefit from acquiring inspection services for my product? Peter Zapf shares the importance of a quality control checklist. Peter Zapf talks about NDA and NNM contracts. Peter Zapf talks about Trading Companies and sourcing agents. How do I negotiate with Chinese suppliers in terms of pricing? Peter Zapf shares some best practices working with Chinese suppliers. How can I protect myself when dealing with new suppliers or factories? Peter Zapf shares need to know things about Chinese suppliers. Where can I save more, sea shipping or air shipping? What are the advantages and disadvantages of sea shipping? What are the advantages and disadvantages of air shipping? 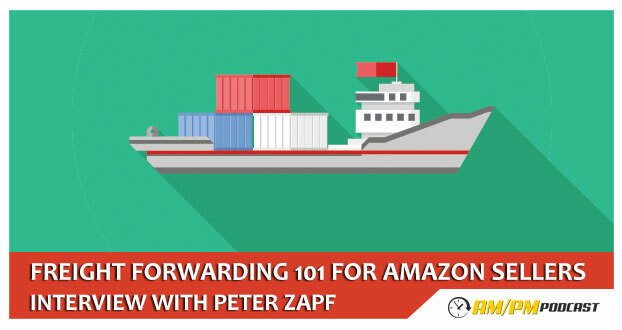 Peter Zapf shares things you need to know about shipping your product. How do I deal with regulatory compliance and safety requirements? Where can I go to know if my supplier has certain certification? What is the importance of HS codes? Peter Zapf shares the advantages and disadvantages of working with large and small factories. Peter Zapf shares tips on how to acquire the attention and work with large factories. Peter and Manny talks about bundling products from different suppliers. How do I know if I am dealing with a shady supplier? Peter Zapf shares regarding their trade shows and the advantages of attending one. How do I benefit from attending trade shows? Listen to the podcast and learn more.